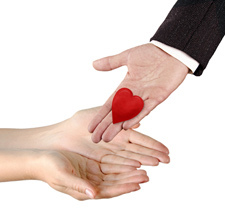 In 2012, 117,283 people were on the organ donation waiting list in the United States. Of those, only 28,051 received an organ. “As you can see, there are a lot of people waiting, but not a lot of donors,” says Cinda Courtney, Transplant Coordinator at Scott & White Healthcare. Now’s the time to register your organs and tissues, so in the event of your death, others may live. “Organ donation can give someone a new life; it can literally save their life,” says Ms. Courtney. How Do I Donate My Organs? It’s most efficient if you register to donate your organs. That way, your family will know your wishes. Every day, 18 people die waiting for an organ. Every day, the surgical need for donated tissue increases. It takes only a few moments to register — and yet it makes all the difference in a life. If you’re in the hospital and your medical team has done everything possible to save you, but you’re not responding, a neurologist will assess you for brain death. If you are determined to be brain dead and not breathing on your own, by law, the transplant coordinator at your hospital will be contacted. The transplant coordinator will check the state’s donor registry to see if you’re registered as a donor, which serves as legal consent. If you’re not registered, the transplant coordinator will ask your next of kin for consent. You can specify who received your organs or tissues. If you have someone in mind — a cousin, for example — who you’d like to receive your organs, you can specify whom your kidney or heart goes to. You can also specify whether you want your organs going to a particular institution, geographic area, or whether you prefer a child to receive your organs, Ms. Courtney says. Every effort will be made to honor your wishes. In the meantime, you’ll be kept on life support while the transplant team retrieves your organs and/or tissues, which will then be transported by ambulance, helicopter or airplane to the awaiting recipient. There is no cost to your family for organ donation. Which Organs and Tissues Can I Donate? With organ donation, you can save up to eight lives. With tissue donation, you can enrich the lives of up to 50 people. For kidney patients — who have to go to dialysis for four or five hours three times a week, giving them a kidney gives them a more normal life. “They can go back to work. They can do many of the things they were doing before dialysis,” Ms. Courtney says. If you’re a match, you may be their only chance for life. You may make the difference between life and death. As an organ donor, you give people hope for their future. Next Next post: Is Coconut Water Better for Rehydration?